Up until recently, Virgin America allowed for VERY creative routing for travel between Portland, OR (PDX) and Los Angeles (LAX). Depending on the dates, you could fly from PDX-LAX with stops in San Francisco, Florida, New York, Boston, and/or DC for under $100. Virgin America has changed the routing ability; it now costs a lot more to fly the transcon route. However, before the loop hole was closed, I was able to book three Virgin America mileage runs on three separate weekends. So why would someone want to fly PDX-LAX via New York? Adding multiple hours on a plane for an otherwise quick trip. The reason is miles. 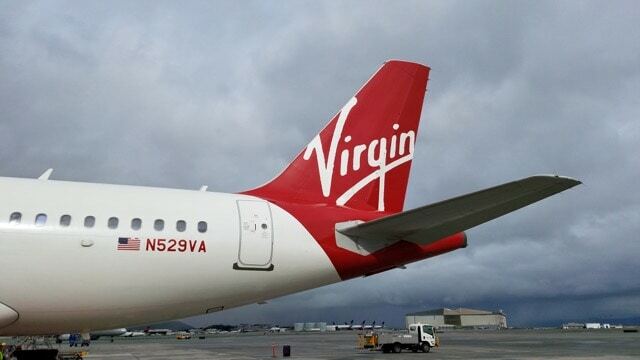 Virgin America was recently purchased by Alaska Airlines. Earlier this month, it became possible to earn Alaska Mileage Plan miles when flying on Virgin America. For Mileage Plan earning purposes, there is now no difference between flying Alaska or Virgin America. Flying PDX-SFO-JFK-LAX for under $100 earns you a lot of Alaska miles AND gets you closer to MVP status. Let’s look at one of the flights I am taking. With Virgin America’s routing rules (at the time I booked), that priced out as a PDX-LAX flight. I paid a total of $94.60 for the ticket. I will earn 6,677 Elite Qualifying Miles. On top of that, as an Alaska Airlines MVP Gold 75K member, I will earn an addition 125% Redeemable Mile bonus. That’s an additional 8,346 Redeemable Miles. I will earn 15,023 miles for this trip at a cost of about 0.6 cents per mile. Now, I don’t live in either Portland or LA, so I also have to figure in the cost of positioning to these airports. SEA-PDX flights tend to be a bit pricey; in the $90 range for a short flight. They rarely go on sale. Award tickets are a better deal in my opinion. I was able to book an Alaska award flight (SEA-PDX) for 5,000 miles + $5.60. For the return trip (LAX-SEA) I paid $58.10 for the one-way ticket and will earn an additional 954 miles. The trip will cost me $158.30 cash out of pocket and net 10,977 redeemable miles. Or a cost of 1.4 cents per mile. Still a good deal. However, I would not go to all of this trouble for 11,000 Alaska miles for future trips. But, I will end up with 7,631 Elite Qualifying Miles. That’s a cost of about 2.1 cents per Elite Qualifying Mile. I will also be over 1/3 of the way to MVP status for 2018. I value Elite Qualifying Miles at a bit under 4 cents, so 2.1 cents is a great value if you are wanting to earn Mileage Plan status. I have two other trips planned with these crazy routings. My next run is to get home from LA after a trip I already have planned. So I am not counting the cost of the LAX-SEA leg as a cost of the Virgin America mileage run. That trip has me “just” going LAX-JFK-SFO-PDX plus an award ticket PDX-SEA. It is costing me a total of $126.50 + 5,000 miles and netting me 5,611 Elite Qualifying Miles. Or 2.3 cents per Elite Qualifying Mile. I will end up ahead 7,624 Redeemable Miles. My final Virgin America mileage run is a bit more crazy. It covers a full weekend, Friday to Sunday. PDX-SFO-JFK-LAX-JFK-SFO-PDX for $161.20. Positioning award flights from/to Seattle cost me $11.20 + 10,000 miles total. I will earn 11,222 Elite Qualifying Miles. Or 1.5 cents per Elite Qualifying Mile. I will end up ahead 15,249 Redeemable Miles. I put all the tickets on my new Chase Sapphire Reserve card. $300 of it was refunded to me. However, I am still counting that $300 as a cost because if I didn’t use it on this mileage run it would have been good for another trip. Those deals are gone now? I requested AS status matching about a week ago from AA plat. Hoping to take my folks to Hawaii in March. I believe they are. But check the FlyerTalk thread for any updates.